We provide web design services for large and small businesses, not-for-profit organizations and individuals  anyone who wants a functional, user-friendly web site. The fact that every imaginable technology is available today does not mean that you are obliged to use all of them. A good website promotes your business, is easily used by your clients, and utilizes the lastest technologies where needed. Services include hosting, e-commerce, email, forms, web-based discussion boards, audio, video, and other features. We will work with you from the earliest planning and development stages all the way through to promoting and maintaining your site. 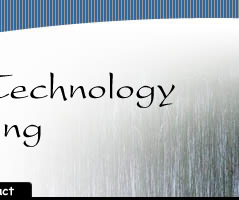 We will help you choose the latest technologies to find the right solution for your business. *Designed in collaboration with others.